First off, let me apologize for the awful swatch! I had to repaint my nails in a hurry due to it chipping before I was able to take pictures of it. 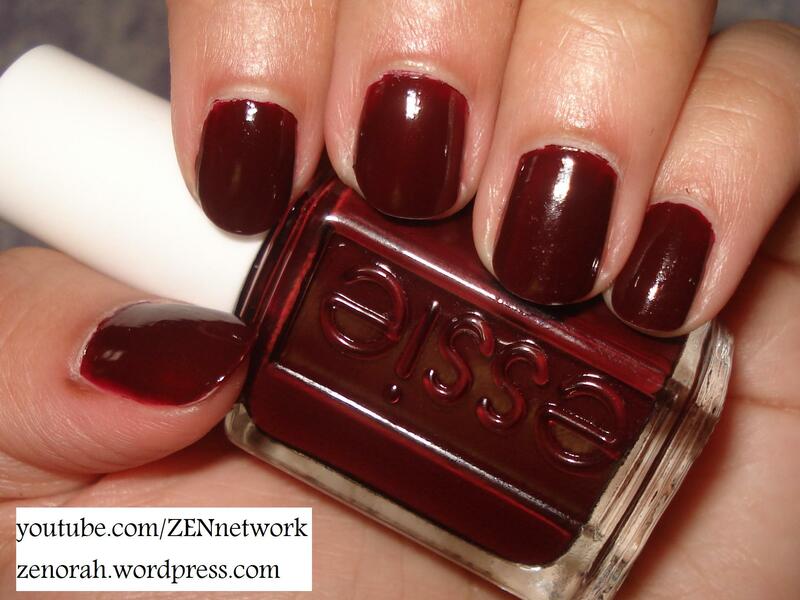 Essie Masquerade Belle was part of their 2010 Fall Collection, it’s a vampy maroon deep redish brown and it is the perfect Fall colour. However, I have been craving a warm dark shade since I have been wearing a lot of dark purples and this one is just simply BEAUTIFUL!! It reminds me of OPI Mrs O’Leary’s BBQ – will do a comparison in the future. This is one of my only vampy shades from Essie and I find myself reaching for it more in Winter than in Fall, it compliments my medium skin tone very nicely and works for both night and day time. I believe it is limited edition, however you might still be able to find this one in local beauty stores for a discounted price due to it being from a past collection shade. It applied nicely, opaque in 2 coats although depending on your application techniques you might need a 3rd. However, once it dries it lasts for almost a FULL WEEK on my nails before I start seeing chipping or visible nail lines. One of the biggest selling points for Essie overall is the glossy finish – it saves me time in having to apply a top coat to achieve the glossy effect on my nails! Do you own Essie’s Masquerade Belle? What are your thoughts on this nail polish?